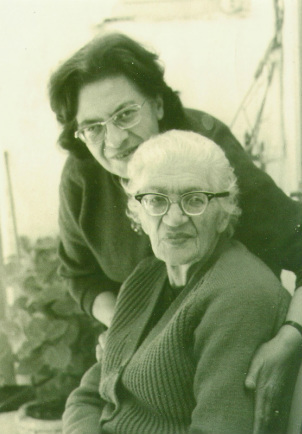 In 1940, Katherine George Siksek, a Palestinian Christian of great faith, a teacher’s wife and resident of the Old City of Jerusalem, began the work of the Four Homes of Mercy. As a young woman who knew some English, she volunteered for the British Red Cross immediately after World War I and learned first hand of the suffering of the impoverished residents of the Old City. Attempting to alleviate the suffering, in 1924 with a few friends, she established The Orthodox Invalids’ Home for the Destitute Sick to provide food and medical care for those in need. She envisioned the establishment of The Four Homes of Mercy and attended to those with special needs. She toiled endlessly, faith and love her only guide. On May 3rd, 1973, upon her mother's death, Katherine's daughter, Henrietta Siksek Farradj, a renowned writer and broadcaster of children's stories, and teacher assumed the mantle of vision of leadership which now she still carries at the age of 94.